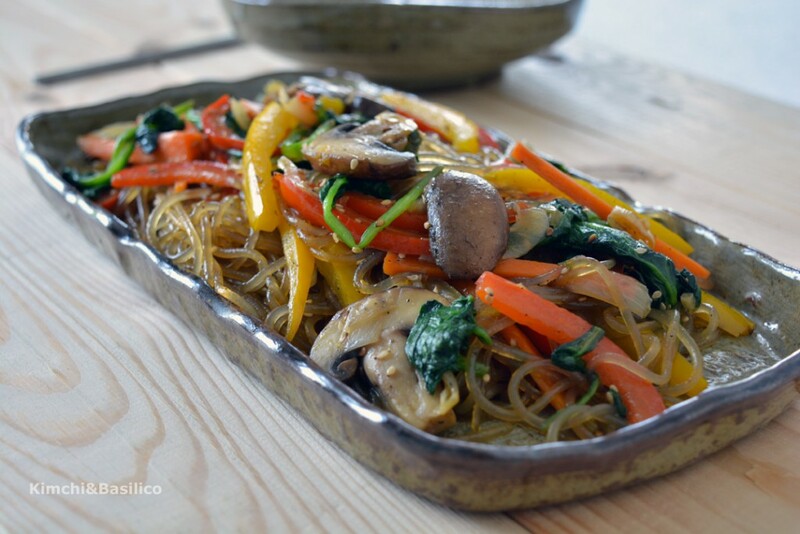 Japchae (잡채) is one of the most beloved and popular Korean dishes: glass noodles made with sweet potato starch are stir fried with vegetables and seasoned with soy sauce, sesame oil, pepper and sesame seeds. A home food dish is often prepared for family or friends gatherings. 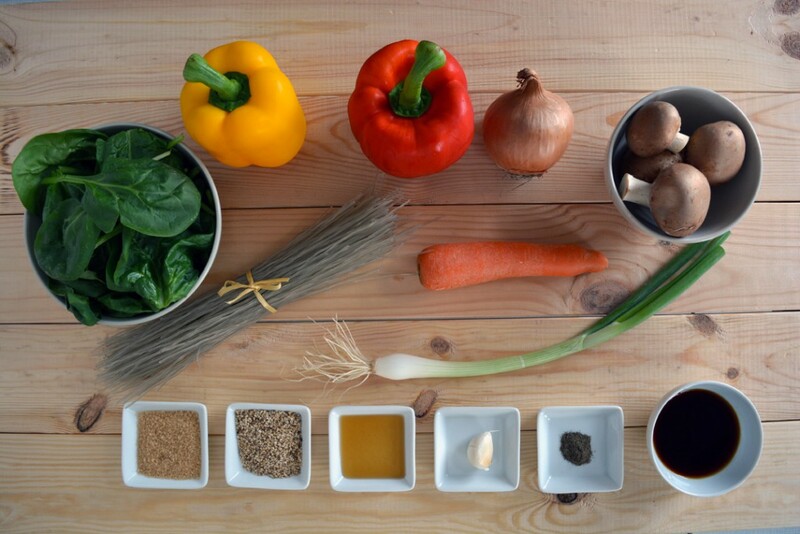 Preparation takes some time, since the ingredients need to be prepared and cooked separately in order to keep the freshness and the color of the vegetable intact. 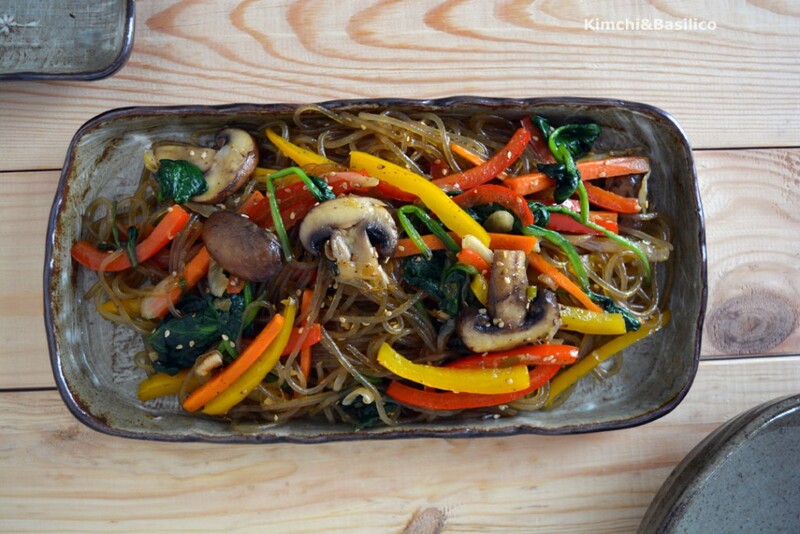 The texture and chewiness of the noodles are a perfect match for the vegetables. 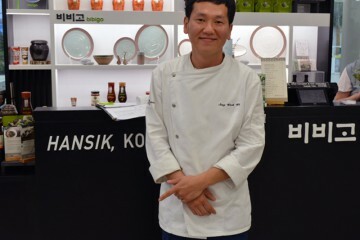 Tasty, colorful and healthy is one of my favorite Korean dish. In a bowl put the spinach with boiling water for 30 seconds. Cool them under running water, and squeeze them gently to get rid of excess water and set them aside. 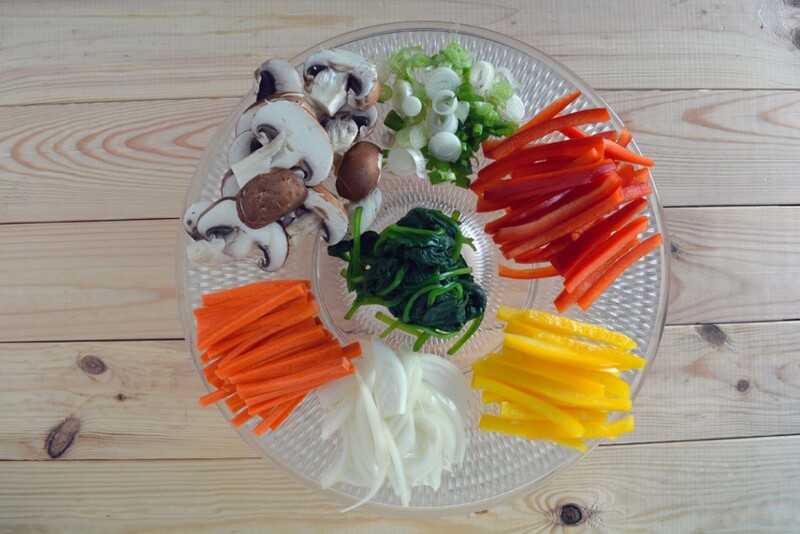 sliced vegetables and blanched spinach…so colorful! pour a spoon of vegetable oil on a frying pan and stir fry half of the green onion. 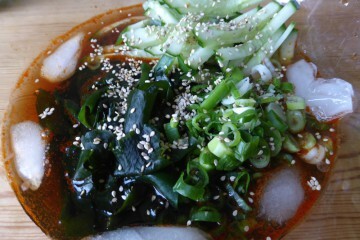 After green onion is cooked, add onion then carrot and peppers. When the vegetables are cooked add pepper and mix. Set the vegetables aside. Drain them and cool them down under running water. In the frying pan on a medium fire add a spoon of vegetable oil and add the rest of the green onion. Add soy sauce and sugar. Cook until the sauce will become sticky. Add noodles and vegetables and cook for a couple of minutes then turn off the stove. 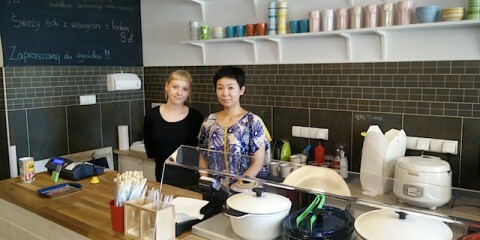 Dish is ready! 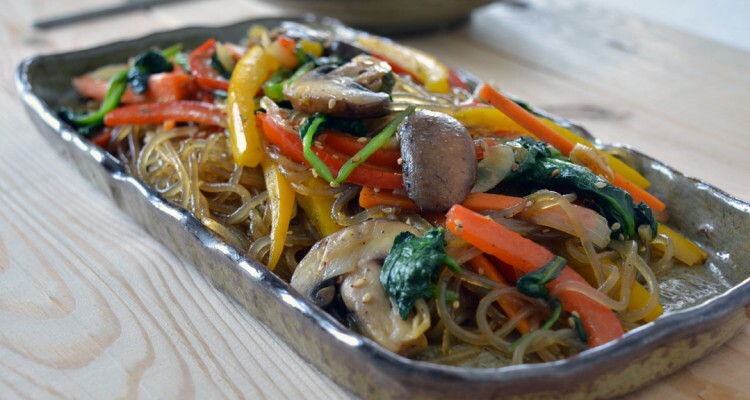 Enjoy your Japchae and share it! Tip: if you fancy some meat, you can add 100 gram of marinated beef in soy sauce to the recipe!